Many of you will remember back in April, we announced we were moving to Brisbane to be closer to Poopsie’s children. We were able to secure transfers at work and were all settled in at the beginning of May. While overall we’re glad that we made this move, for many reasons, it hasn’t quite worked out as we’d hoped. Anyone who knows me in real life (especially Poopsie) would describe me as very particular and a bit of a perfectionist. As such, I always want things to go exactly as I’ve planned them. I’m always shocked and slightly irritated to learn that life doesn’t quite work like that. Of course, things very rarely go to plan. Without going into detail, our move up here has not helped the situation with Poopsie’s children and in fact, we sometimes feel our presence may have made it worse. However, there are other reasons we’re feeling like Brisbane may not be our home for much longer. We bought our house back in August. While we still feel like this was a good investment, we don’t think it’s somewhere we want to spend too many years living in. As you may have picked up from the latest post in Poopsie’s Adventures in DIY, Poopsie enjoys pottering about and working on household projects. We live in a townhouse, which has a very tiny yard. It has been challenging for Poopsie to not have the space to conduct projects in the backyard. This has been emphasised by his recent reading of Michael Mobbs’ book Sustainable House. There are many ideas and aspirations Poopsie gained from this book that he is unable to put into place in our current property. Poopsie has made the most of our small yard, but would love it to be bigger. For me, I am missing the culture. Brisbane certainly has a lot of culture but unfortunately, we live a fair way away from it. We either need to drive 45 minutes into the city and pay exorbitant parking rates or catch the 50 minute train in- and train tickets are pretty pricey here as well. We feel like we’re either spending too much time and money on training into the city or, even worse, we don’t get in there at all. We’re used to living in smaller cities and within walking distance of the CBD where we can access all of the culture we can get our hands on. 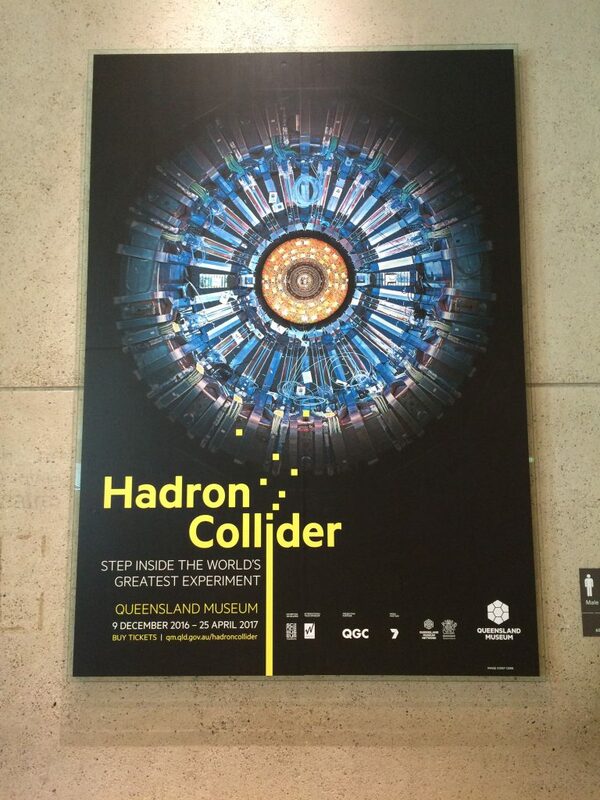 We recently got our culture on at the Hadron Collider exhibit at the QLD Museum. We have also missed both Canberra and Newcastle a lot more than we thought we would. We have lived in both these cities and in both, we felt like we’d found our place to be. While we ultimately think we’ll retire to Newcastle, we would be pretty happy to end up in Canberra as well. We both grew up in and around Brisbane and there’s probably a reason we haven’t moved back here until now- we just seem to prefer southern Australia. The nature of our jobs can mean that we have to move around fairly regularly. 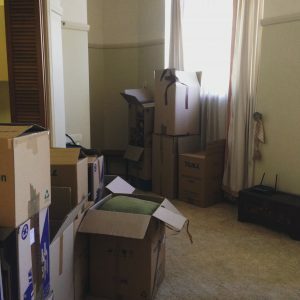 Late last year, we were advised that we may need to move back to NSW/ACT at the end of 2017. We were surprised how much we welcomed this news- in fact, how excited it made us! We’re not sure if our work transfer will definitely happen, but it has certainly got us thinking and re-assessing why we’re in Brisbane and how we feel about it. At first, I was frustrated that it may have turned out we’d moved up here for nothing. But Poopsie, as he always does, managed to talk me round. Had we not moved up here and experienced it, we may have considered retiring here. Both of our families are here, so it’s certainly something that had crossed our minds in the past. Now we know for sure that retiring to Brisbane is not something we want to do. So what does that mean for our early retirement plan? At this stage, not much. We still have the same jobs, receiving the same salary, even if they do decide to transfer us. We always intended for this house to be a rental property, so now it just might become one a little sooner. We’re not sure if we will commit to purchasing a retirement home in either Newcastle or Canberra. Unfortunately, those two markets are, in our opinion, severely overpriced. We can’t see affording to buy into either one at this stage and still being able to achieve our early retirement date. We will keep an eye on both markets and ponder whether having a permanent home is important to us or if renting during retirement is for us, as Go Curry Cracker suggests. 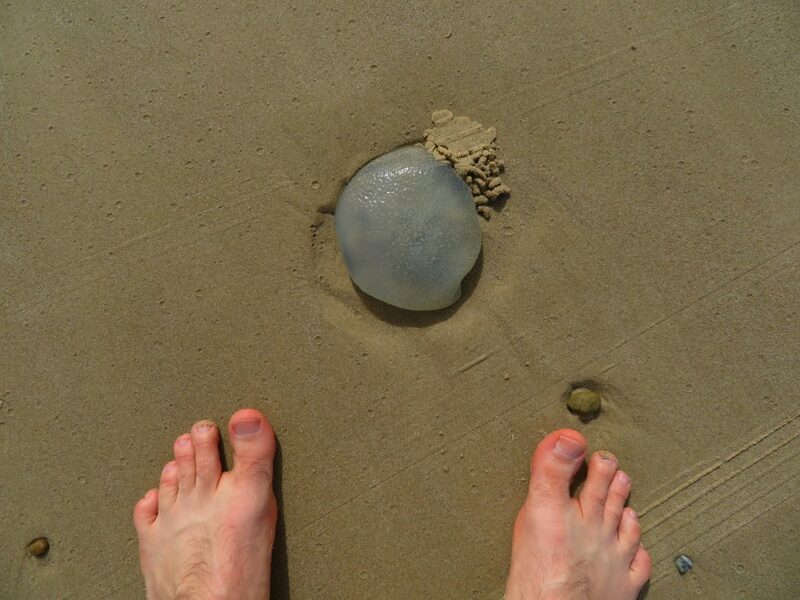 This jellyfish probably didn’t plan to get stranded at low tide. Plans change and I need to be okay with that. I think it’s imperative to have an early retirement plan- it’s the only way we’ll ever get there. But I need to accept that those plans will change and we will continue to tinker with what we want to do. For now, we’ll continue saving in excess of 40% of our income and working our way toward financial freedom. Have your early retirement plans changed along the way? Have you been okay with it? Interesting. I love visiting Brisbane, but have always stayed right in the city. Living in Sydney at the moment is the same, always travelling 45+ minutes to get into the cool events. I’d prefer it that way though. I definitely feel the same way about Sydney, I wouldn’t want t live right in the city I don’t think. 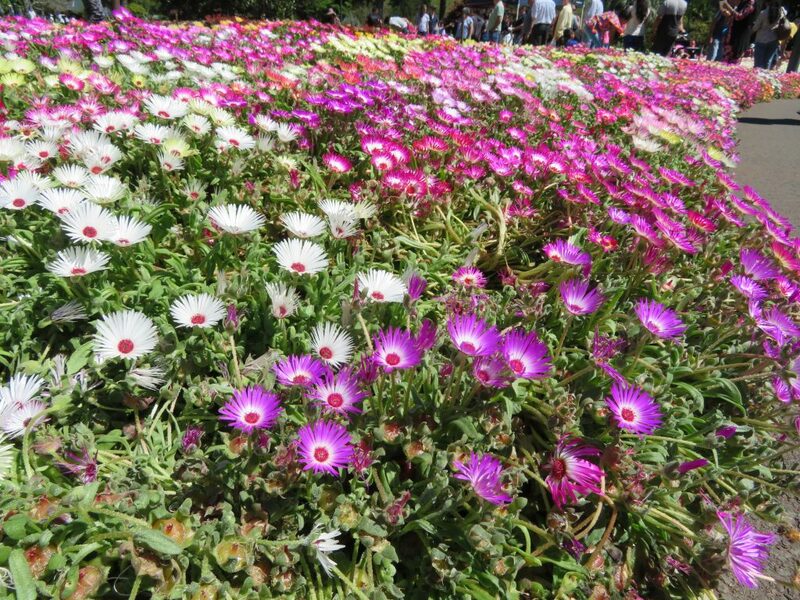 But Canberra and Newcastle are quiet, small cities, so the CBD isn’t too busy and we really like it. We don’t like commuting, so we try and avoid it when we can! Hope you eventually took off and are enjoying New Zealand! I love Canberra. I always have, even in the pre-GPS days where we would drive around and around in circles. We both think we would like to live in Canberra, but the opposite is true for us: you moved for family; we won’t move away from family. I don’t really know Newcastle at all, but I’ve heard it’s really pulled itself together and is becoming a vibrant city. It seems like you have identified your values about where you want to live, and what you want in a dwelling. 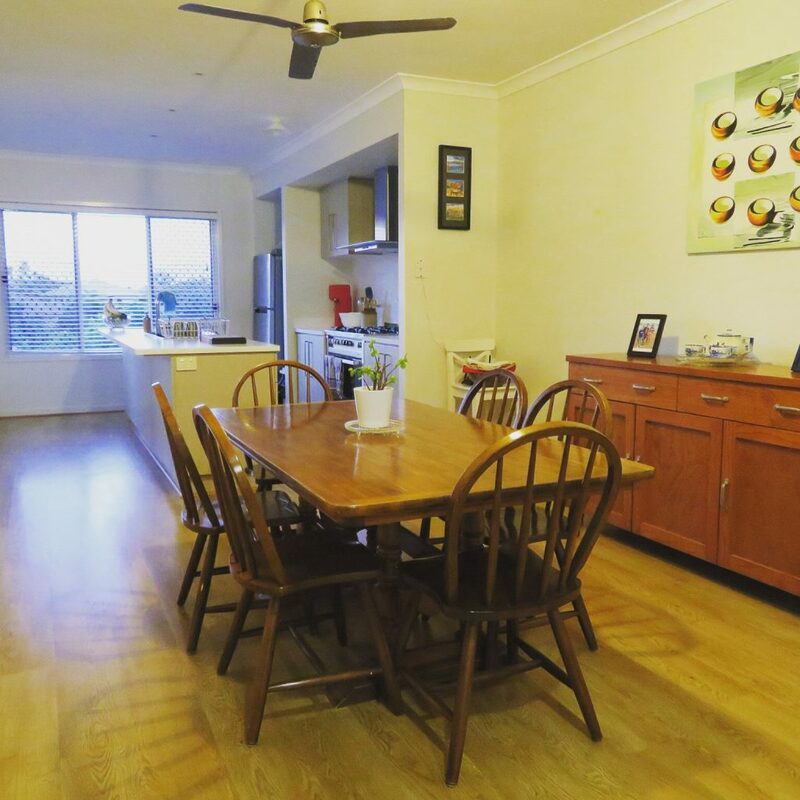 Poopsie is right – it has been a valuable experience in identifying that you don’t want to live in Brisbane. Imagine how much worse you would have felt if you did retire up there. In fact, it’s probably a lesson – if you are planning on moving somewhere for retirement, test it out first . Finally, I am truly amazed at what Poopsie has achieved! 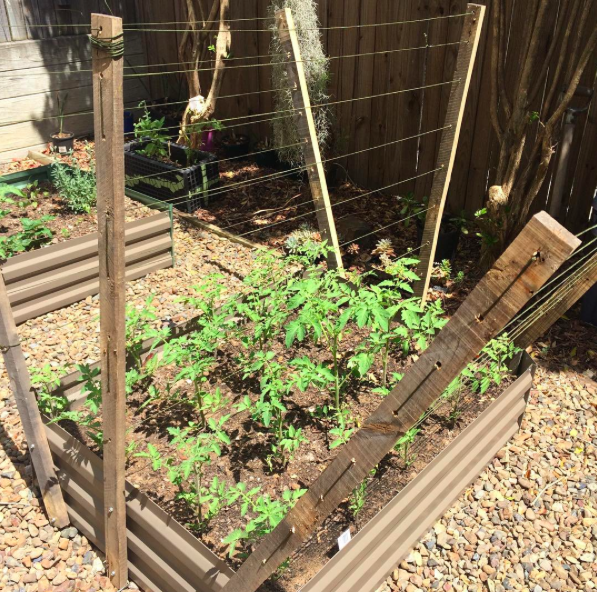 (Total black thumb – the best I can do in a garden is kill weeds, because it comes naturally). Even with a GPS, occasionally I have driven around and around in circles in Canberra. Newcastle has become really vibrant. It’s likely my brother will move there and settle there, but then, what if they change their mind? We don’t want to pick where we live based on others, as their plans may change. It’s still something we need to figure out. He’s quite the gardener! I will get him to write a post about it, as both you and Miss Balance has asked about it. Keep an eye out! 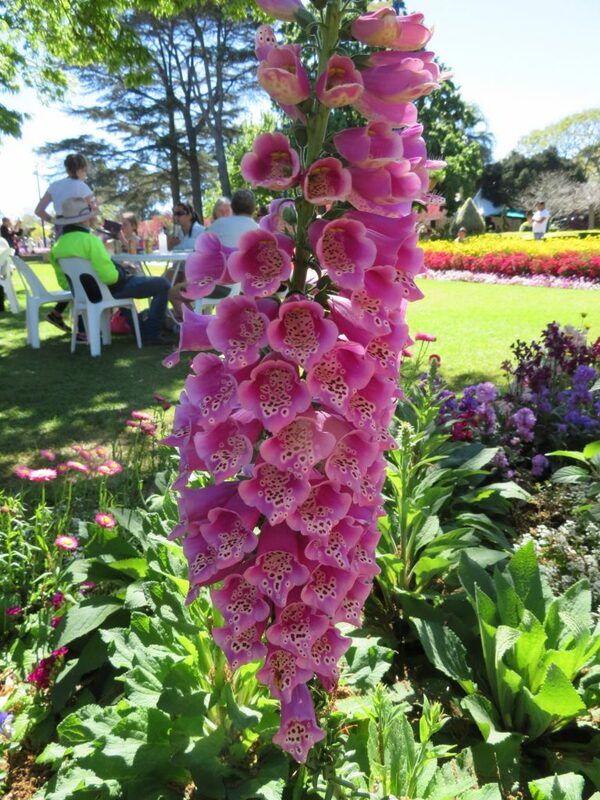 Yes I love Canberra!! I went to uni there and I worked there for a year in 2015. It’s a fantastic city and I really miss it. My fingers are crossed that we’ll end up there! That’s a shame that it’s not working out in Brisbane how you wanted it to (so far) I guess that’s just life. You were trying to do the right thing so don’t feel bad about it. I suppose it’s important remembering that even though we all live in the same country, the cities are actually very different from each other. I’m sure Brisbane is different to Newcastle which is different to Canberra. You don’t have to stay there the rest of your life, which you seem to be planning on making another move. But I’m glad you found a silver lining, that you know you don’t want to retire in Brisbane. Better to know that now rather than later! Our retirement plans haven’t changed yet, we haven’t remotely planned our retirement yet, so we’ll see what happens in the future! Thanks for the encouraging words, Tristan. There has been a silver lining and we should definitely focus on that.